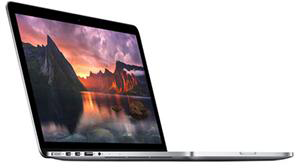 B&H Photo is selling its remaining mid-2014 13" MacBook Pros (2.6GHz, 8GB, 128GB) with Retina display for $1,098.00. This is currently the lowest direct, net price for this model (MGX72LL/A) anywhere, with free expedited shipping and no sales tax collected on orders shipped outside NY. MacMall also offers this model at $1,098.00.